A recent survey by Campaign for Better Transport (CBT) (B&CB 1307, 19 December 2014) showed Peterborough was the most car dependant city in England, despite the city’s ambition to become the environmental capital of the UK. It was not without raised eyebrows therefore that the latest report from the CBT (B&CB 1310, 16 January 2015) highlighted Peterborough’s proposals to reduce funding for bus services in 2014/15 by 51%. There is some good news, however, according to information supplied to the CBT by Peterborough City Council (PCC). They have reduced funding for supported bus services but have not withdrawn any services and there have been no changes made to non-statutory concessionary fare schemes under their control during this period. 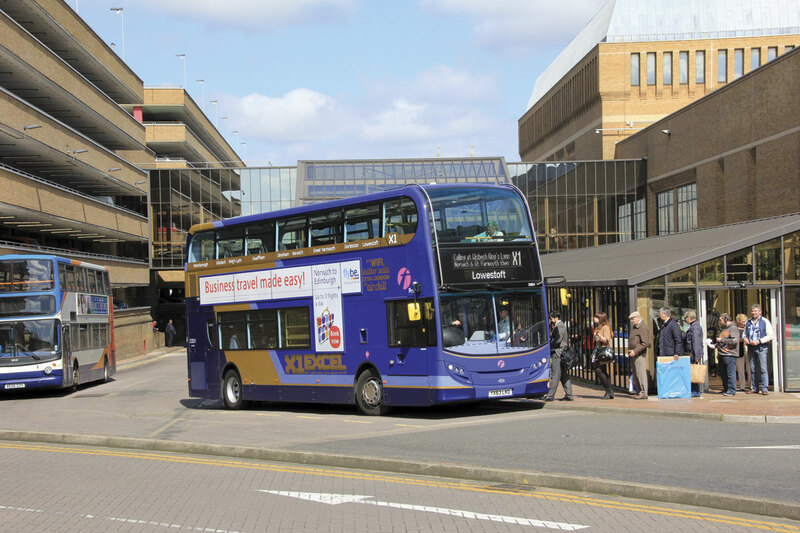 In Peterborough the term supported bus services includes subsidised bus services and subsidised demand responsive services. The budget for supported bus services for 2014/15 is £615,116, compared to £1,251,516 for 2013/14, £1,183,560 in 2012/13, £1,107,869 for 2011/12 and £738,949 for 2010/11 making it the lowest in the five-year period. The supported bus services equate to 6.1% of the total transport budget of £10,175,343 which includes £3,323,743 for concessionary fares. Combined, these make up 38.7% of the total transport budget. Peterborough’s ability to reduce spending so significantly without severing services isn’t indicative of the majority of the report’s findings. It shows that this year 50% of local authorities have cut funding for supported bus services totalling £14.9m whilst 42% have cut or withdrawn services. I contacted the council to find out how they intended to achieve this reduction without affecting services. I suspected that it would mean re-contracting, wider use of volunteer-run services and changing some services to a commercial basis. I also wanted to determine how they planned to address being the car dependant capital of England and where buses fit in to their plans for acquiring environmental capital status. I met with Mark Speed, Transport & Infrastructure Commissioning Manager, Lewis Banks, Principal Transport Planning Officer, and Richard Mayes, Principal Passenger Transport Contracts and Planning Officer at the city’s council offices. Mark was quick to point out that there had in fact been some reductions to services as a result of an annual service review implemented in October 2013. There had been 12 Local Link buses operating around the city, some of which were duplicating existing commercial services. Following a series of Quality Impact Assessments, passenger surveys and the help of Passenger Focus, these were found to be underused and not cost effective to operate. An all party group assessment took place including some consultation with Stagecoach and other operators. New routes were designed which covered the same areas but with reduced services, taking into consideration passengers travelling to work, students and concessionary pass users – implementing services where bus passes could be used. Unfortunately, a couple of rural links to outlying areas, namely Marholm and Ufford, were lost although a Call Connect (demand responsive) service was already in operation to provide vital services in these areas. Mark assured me that the feedback from the public had been positive and that there had been no complaints specifically regarding the service changes. Lewis explained that the cost of Local Link services for their last year was £495,612, but having reviewed the operation, it had been expected that this cost would rise to £1.055m if the services were re-tendered in the same form. This arose from the contractor Enterprise, now known as Amey, providing the service at below the market value, which it was no longer financially viable for them to continue to do. The contract was due to come to an end and approximately 40% of the council’s Government funding had been lost over a five year period. It was estimated that each bus hour across the entire Local Link service would have cost £43.15 over almost 30,000 hours, plus the cost of owning 12 vehicles. A year after Stagecoach implemented new services, it is not only down to £32.05 per bus hour, but the number of hours has reduced to below 7,000. 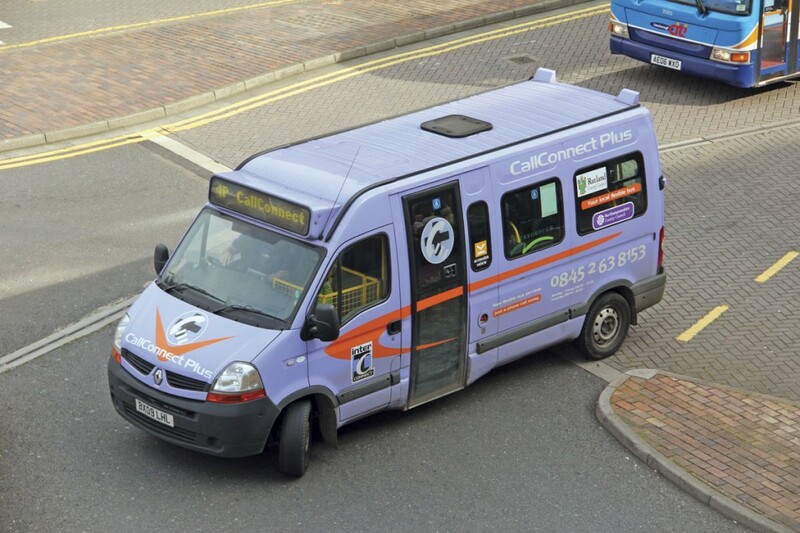 The only subsidised public transport service that Amey operate now is the urban dial-a-ride service which is for residents who are physically unable to access public transport. Prior to the changes in October 2013, 7% of total bus services in operation around Peterborough were subsidised by the city council, although they couldn’t supply me with official figures for 2014/15, PCC were able to confirm that this figure had reduced. In addition to these, the Council also has responsibility for Home to School Transport and has a duty to transport eligible pupils from home (or a suitable pick up point) to their appropriate educational placement, to allow attendance during normal school hours. This is sometimes provided by issuing bus passes for children to use public transport or provisions are made through an approved transport operator. It is usually more cost effective to provide free bus passes, rather than taxis or personal transport for children outside of the catchment areas. Demand for schools in the city is high, and Mark suggested applications can peak at 200 per fortnight. Currently in Peterborough there are over 500 children who qualify for Special Educational Needs transport as well. There are also a number of large housing developments currently being built or completed within the city’s perimeters. The developers work closely with the City Council and bus operators to offer a subsidised service in to the area for a predetermined period, usually a couple of years. This is undertaken in certain developments at key times in anticipation that, in the longer term, investment in transport in new developments will result in new, sustainable, bus routes. 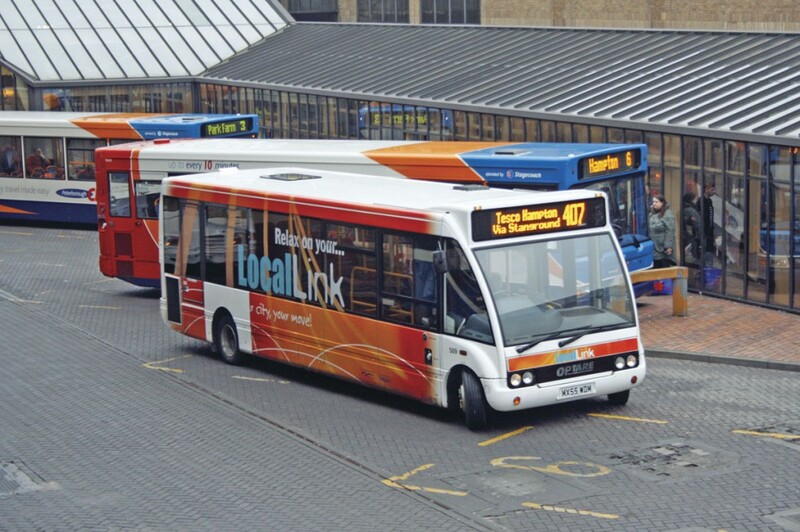 The cost of the Stagecoach day time services on routes 20-22 that replaced the Local Link routes is £221,434 a year. On the Citi evening services that operate after 20.30 Monday to Saturday and Sunday services from 17.30, the council has managed to reduce the spend to £200,000 and combined, these measures have saved approximately £634,000. Some of these services are well used and others run virtually empty but they are timetabled and therefore must run. 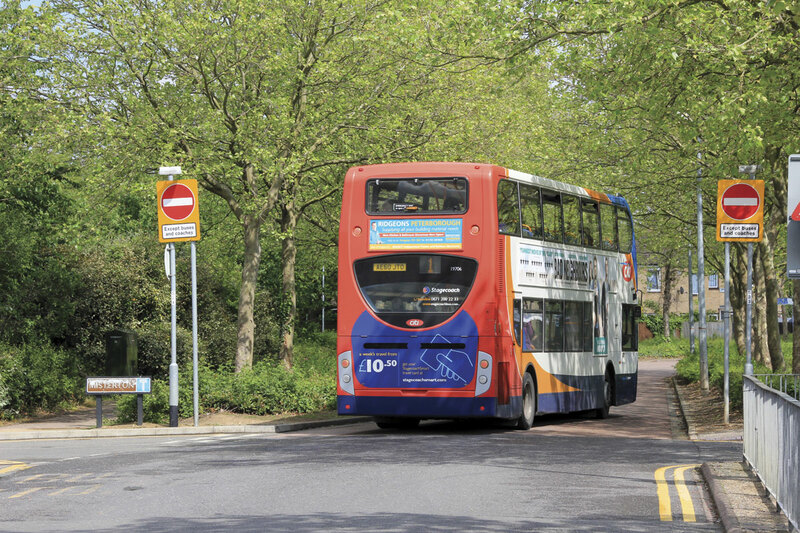 Although it may not seem commercially very cost effective to operate these services, they form part of Stagecoach’s wider commercial interest. Stagecoach has invested heavily in the operation both in terms of vehicles and service commitments. Their commercial operation has seen services improved to a bus every 10 minutes on some Citi routes and passenger journeys have grown by 50%. The figures for 2013/14 showed that passenger journeys had increased by 400,000 year on year, equating to an annual growth of approximately 4%. The council are happy with the voluntary partnership agreement that they have with the bus operator and like the fact that they operate newer, cleaner vehicles that are more accessible and meet their current emission targets. There are a number of demand responsive services available to the city’s residents. Some are subject to a qualification assessment and others are available to anyone; all are subsidised by the council. Dial-a ride has two, slightly differing schemes. The urban service offers accessible transport to the city centre four days a week, whilst taking passengers to a local supermarket (this differs depending on which part of the city they live in) once a week. The rural operation comes in to the city centre twice a week so that residents that live in small communities have access to services such as banks, shops, post offices and medical centres. Concessionary passes are accepted on these services which are funded by the council and not the Government. The Call Connect service covers the rural outlying areas and is available to everyone. These operate in a lilac livery in conjunction with other counties such as Northamptonshire, Rutland and Lincolnshire and so can be in one county in the morning and somewhere else in the afternoon. There is no scheduled timetable and where they go will vary day to day, although they do run a number of regular routes that operate on a pre-bookable basis only. Bookings can be made by telephone or online up to seven days in advance or up to an hour before the journey time. They have regular drop off and pick up points within the city which include hospitals, shopping centres, supermarkets and transport links. The other demand response service, which is run by RVS, the former Women’s Royal Voluntary Service (WRVS), operates throughout the city and suburbs with volunteer drivers. Cars are usually used and there is a charge to travel. The downside of this operation is that because it is run by volunteers, there is often a shortage of drivers, it does, however, offer a more personal service. PCC are in the last year of a five-year allocation from the Local Sustainable Transport Fund and along with Cambridge and Southend are one of only three councils in the Eastern Region that have received funding for 2015/16. The criteria stated that it couldn’t be used against existing services, the amount was capped to £1m and was revenue only, not a capital spend. The PCC bid on the LSTF website sought £900,000 funding for the Travelchoice Focus programme, the total local contribution was £10,300,000 with a total package cost £11,200,000. It should be noted that these contributions take in to account the funding received for the five year period and not for 2015/16. The synopsis of their brief stated, ‘Peterborough has been delivering a programme to encourage smarter travel choices for over 10 years. Travelchoice Focus builds on previous experiences and achievements. The package has been built around experience of what measures are the most successful in achieving travel behaviour change. These measures will be focussed at key destinations across the city including schools; businesses; and leisure and recreation facilities where there is real potential to change travel behaviour. The scheme also outlines the Travelchoice programme for the five year period from 2015/16 onwards in line with the Strategic Economic Plan bid’. Lewis was able to provide me with more detail. ‘It will be a focussed approach targeting schools, businesses, leisure and recreation facilities and neighbourhoods.’ He confirmed the £900,000 award, and indicated there was a further £100,000 of local contributions for 2015/16 to promote sustainable transport. Promotions, competitions and events – which includes pedal-powered cycle cinemas! A green streets initiative where school children and local residents work together to identify what the issues are in their neighbourhood and create a plan for how the streets can be improved to encourage more people to walk, cycle or use public transport. This led me to the rather contentious point that according to findings from the CBT, Peterborough was the most car dependant city in England. Understandably, this was something that the council was very quick to defend. Mark said that it was unfair to compare Peterborough, a rural city, with the likes of Birmingham and Manchester and that the city has amongst the least traffic congestion problems in the country with the average commuter journey speed being 25mph, the second fastest in England. Drivers in the city might well dispute this, as recent improvement works to the Crescent Bridge area which includes transport links from the railway and bus stations has caused ‘traffic chaos’ and increased journey times for commuters and local bus and coach operators. Mark explained that once the traffic signals were working in sync from Rivergate down, the problems should improve significantly. The model suggests that when the works are completed, journey times should improve by up to nine seconds through this section, as well as creating greater accessibility, an improved transport hub and reduced emissions. On the subject of managing emissions, Lewis explained that, as the vast majority of services in Peterborough are commercial, they are governed by national and European legislation, they do not have any additional policies in place, such as low emissions zones. For their subsidised bus services, he confirmed that ‘the vehicle must be less than 10 years old but we do not put any additional emission requirements on the vehicles.’ The PCC air quality strategy had few public transport specifics within the document and was compiled in May 2004 so most of those mentioned were generic or had already been adopted. In addition to this, £140,000 has been allocated for an investment in an Intelligent Transport System (ITS) incorporating Variable Message Signs (VMS). This is part of the city wide improvements programme and is awaiting the outcome of a report. Passenger safety is also a priority and regarding bus passengers specifically, improved street lighting is planned on major routes and at shelters. Greater accessibility across the city and highways maintenance is another part of the Integrated Transport Strategy plans. The council are also looking at ways to integrate transport across a number of sectors, including home to school transport and hospital links in line with the CBT’s recommendations for local authorities to offer a ‘Total Transport’ scheme. Having no data on other council’s budgeted spend on sustainable transport and supported bus services, it would be unfair to say how Peterborough City council are performing, but they appear to have policies in place. As an occasional bus passenger in the city, I have found that the services have usually met my requirements and have certainly improved in the last 10 years. Generally the road network around the city is quite fast moving but this seems to have deteriorated over the years, I suspect due to the increase in road user numbers and speed reduction schemes. Improvements to congested areas and the creation of a transport hub can only make the passenger experience better, whether you are travelling by bus or car.